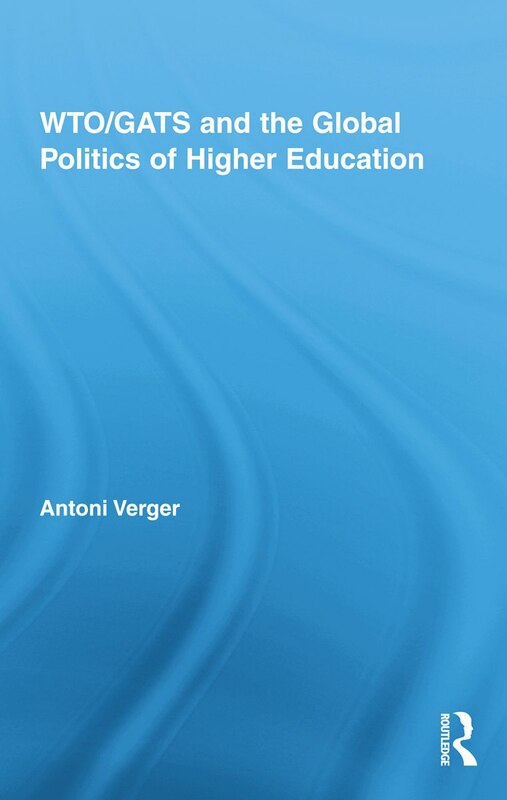 Verger, Antoni, 2010, WTO/GATS and the Global Politics of Higher Education. Routledge: London-New York. Since the General Agreement on Trade in Services (GATS) was created in 1995, there has been international pressure towards the liberalization of higher education all over the world. 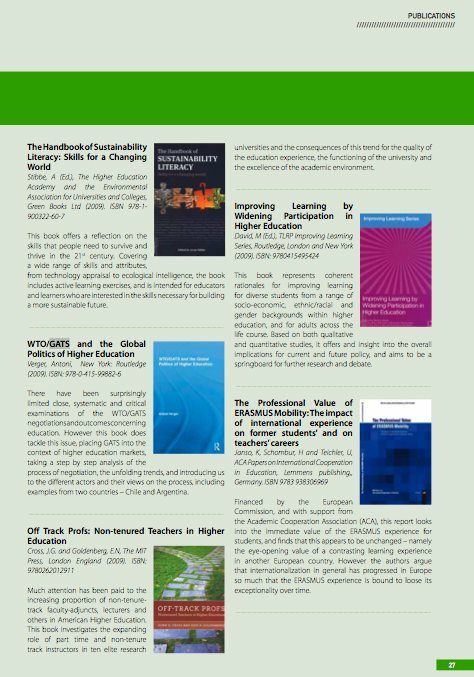 Among other effects, the GATS reinforces commercial-driven rationales in the internationalization of higher education and introduces trade rules and disciplines in the regulation of the sector. However, education liberalization under the GATS is also a contested process. Public universities, development NGOs and teacher unions have actively campaigned against this trade agreement in different countries and at a range of levels from local to global. Based on intensive fieldwork in the WTO headquarters and in two countries (Argentina and Chile), Antoni Verger opens the black-box of the GATS negotiations in the field of education. His well-informed research explores in-depth how domestic actors, ideas and interests are key factors to understanding the constitution of the global education liberalization process entailed by the GATS. In particular, he pays attention to the political effects achieved by the actors opposing the GATS, as well as to the conditions under which these effects happen. The book is worth reading for those people interested in deeply understating the WTO/GATS, its relationship to education and, above all, the politics behind the education liberalization negotiations. “There have been surprisingly limited close, systematic and critical examinations of the WTO/GATS negotiations and outcomes concerning education. However this book does tackle this issue, placing GATS into the context of higher education markets, taking a step by step analysis of the process of negotiation, the unfolding trends, and introducing us to the different actors and their views on the process, including examples from two countries – Chile and Argentina” (International Association of Universities).